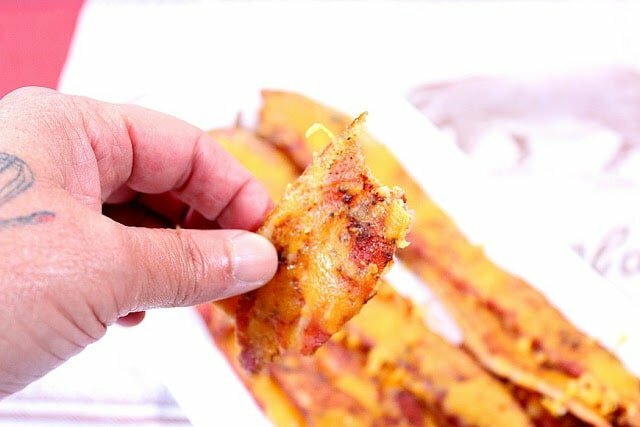 These Keto Cheesy Smoky Bacon Strips may seem like the epitome of decadence, but for those people eating a high-fat, low-carb diet, it’s a great reason to PIG OUT, but without the guilt! -Preheat oven to 400 degrees. Line the baking sheet with aluminum foil and place the rack insert inside. 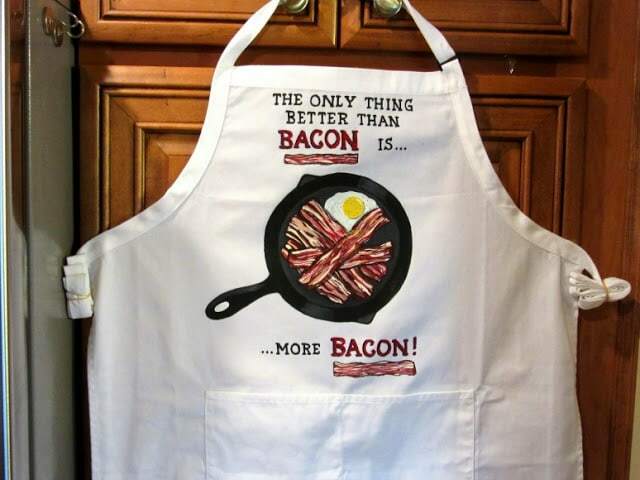 Place the bacon strips on the rack, making sure not to overlap them. -Sprinkle each strip with a little black pepper and a little smoked paprika. Bake in the preheated oven for 23-25 minutes. 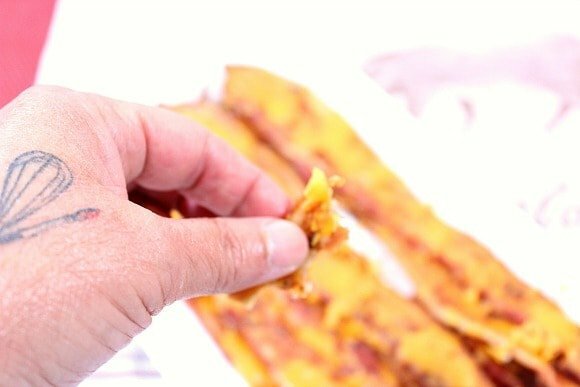 *Note – If you like really crispy bacon, allow the bacon to remain in the oven to your desired doneness. 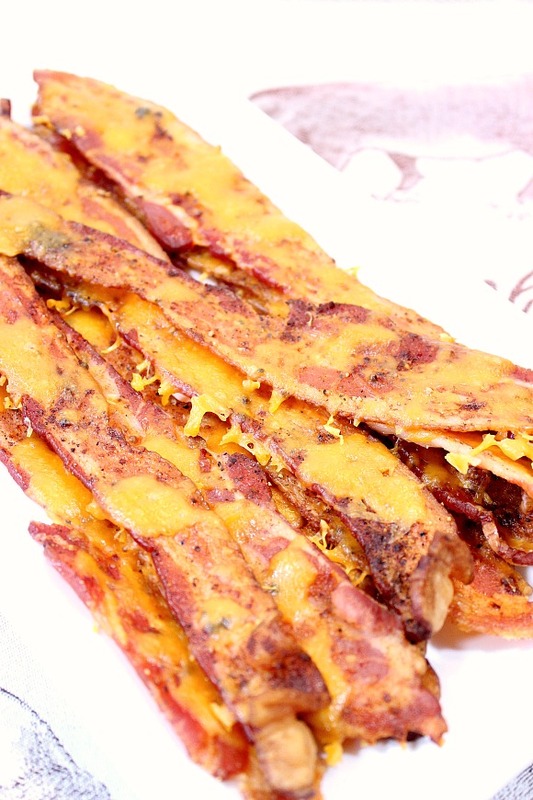 Remove the bacon from the oven and sprinkle each strip of bacon with the grated cheese. 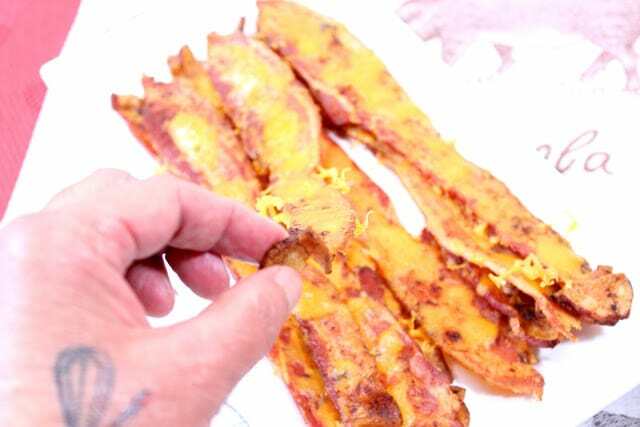 Return the bacon back into the oven for approximately 3-5 more minutes. Remove, cool slightly and enjoy. Can I tempt you too? 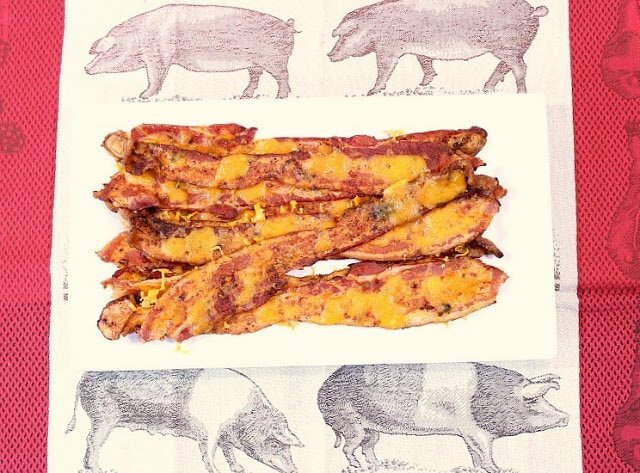 Think about how great this bacon would be alongside a big pile of scrambled eggs, or maybe on top of a summer BLT with fresh, juicy tomatoes. Be still my heart! If there is ever anything I can paint for you, from aprons to tea towels, to glassware, please don’t hesitate to contact me or visit my shop. Custom orders are always welcomed and always encouraged. What can I paint for you? I just hit my head on the screen. Mind blown. Gonna make this fo sho. Ok this is just brilliant. 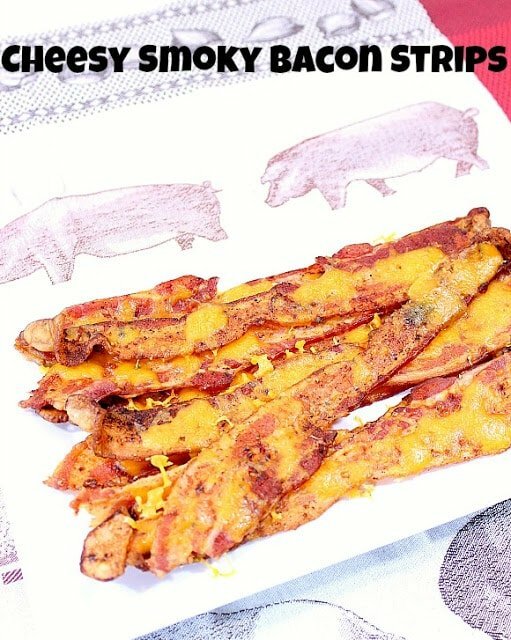 You know I can't pass up cheese and bacon together! Can there be anything more glorious that bacon and cheese together? I need these strips in my life! I'm over here drooling. My guys are going to LOVE this. Heck, who am I kidding – I'M going to love this!! 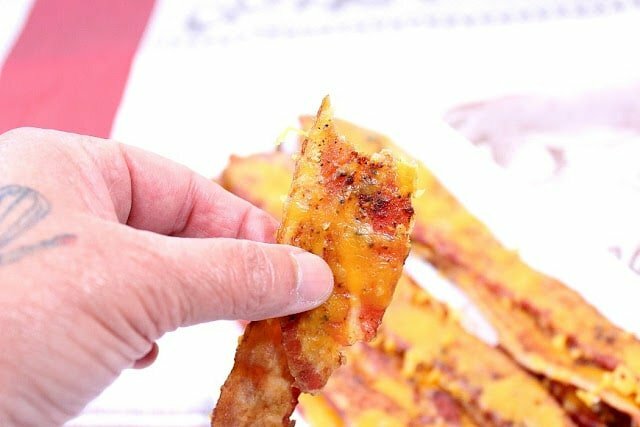 The only thing better than bacon is more bacon WITH CHEESE ON TOP! 🙂 WOW – this looks incredible! I think my brain just exploded (I mean that in a good way)! 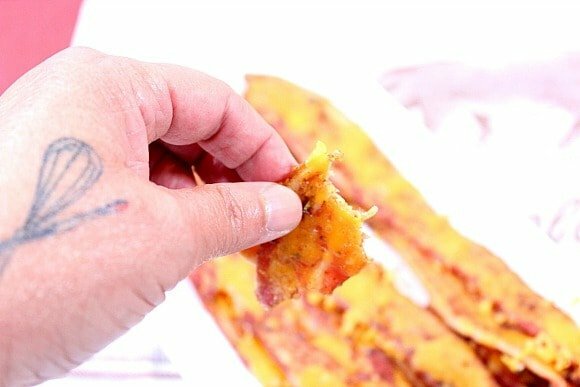 Bacon and cheese? Yes, please!